The core Fresh Tracks experience is a three-to-five day training expedition, which can be held in any region of the United States. 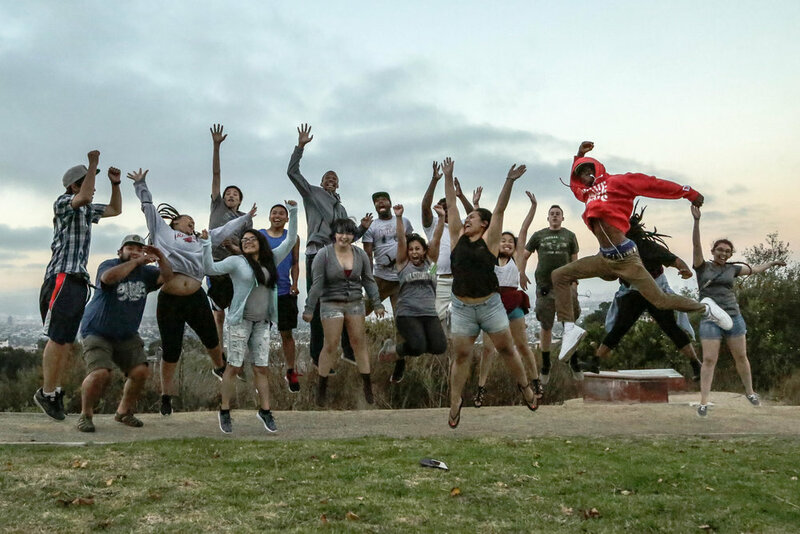 Training expeditions bring together diverse young leaders from urban, rural, and tribal communities for empowering experiences that blend outdoor exploration, cultural sharing, and leadership training. The Fresh Tracks curriculum is built upon four foundational pillars: the power of personal narrative; leadership development; community organizing; and action planning. Participants leave the training with the skills and support they need to develop community-driven action plans around civic engagement and respect for other cultures. And, Fresh Tracks mentors will provide participants with ongoing opportunities for leadership growth. Fresh Tracks will work with participants to implement community actions plans that respond to current needs and opportunities. Each participant who implements an action plan will have an opportunity to apply for a micro-grant from Fresh Tracks to help offset costs. After completing a regional Fresh Tracks training expedition and implementing community action plans, Fresh Tracks alumni can apply to take part in a Train the Trainer Summit. Participants who complete a Train the Trainers program will be hired by Fresh Tracks on a contract basis to organize and implement future regional Fresh Tracks training expeditions. Our goal is to see 6-12 Fresh Tracks participants complete train the trainer programs over the next year. Fresh Tracks works with communities to ensure training expeditions are relevant and impactful for participants. Strategic, sustainable partnerships are critical to the success of this model. Before holding a training, we identify local host partners (NGOs, government agencies, colleges and universities, etc.) that can assist with recruitment and training of diverse young leaders from the local region. Host partners will be stable, community fixtures that can help ensure that the impact of the training expeditions continues after the experience. Listening, giving feedback, and inclusive conversations.